I am a freelance writer living in the North of England, following six years living in Brisbane, Australia. I enjoy writing about travel, sport and the outdoors. Subscribe to my articles to keep up to date with the best things to do in the North East. 1. Jesmond Dene - This leafy and picturesque pocket of Tyneside is far removed from the raucous bars of nearby Osborne Road. Just minutes from Newcastle City Centre, the Dene is hugged by the Ouseburn River and is home to a vast array of wildlife (Red Squirrels and birds in particular) and plants, as well as a small waterfall. Visitors can also enjoy a large picnic area near Millfield House, where you will also find a Visitors Centre. 2. Saltwell Park - Comprising 55 acres of parkland nestled in the heart of Gateshead, Saltwell Park is one of the most popular Victorian parks in the country. Centred around Saltwell Towers, the former home of stained-glass expert William Wailes, it is also known for its large boating lake, iconic bandstand and Japanese Garden. Opened in 2011 by a delegation from the city of Komatsu, twinned with Gateshead 20 years previously, workers from both countries joined forces on the project which features a stone waterfall, where gravel is used to represent water. 3. Souter Lighthouse to South Shields - For breathtaking coastal scenery, look no further than this short stretch of coastline just south of the River Tyne. More experienced hikers will easily manage the 6 mile distance, but those looking for something shorter would be advised to follow the first section of the walk. This features the red and white striped lighthouse itself, the ruggedly beautiful Marsden Rock and the famous Grotto pub, a beachside tavern offering views out to the sea. Tides permitting, walkers then have the option of scrambling over the rocks or walking along the cliff tops as they proceed to South Shields. 4. 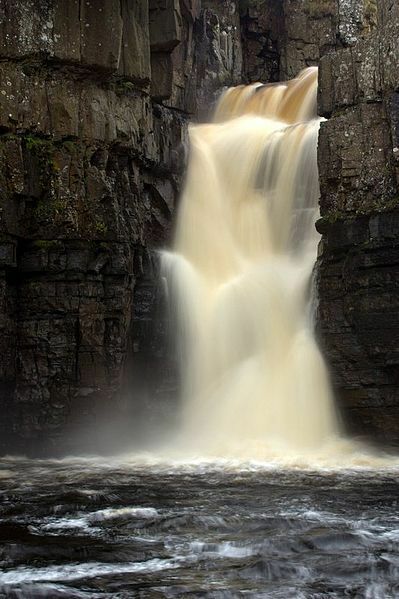 High Force - Located at Forest-in-Teesdale, County Durham, High Force is the point at which the River Tees, having flowed from the North Pennines, suddenly drops 21 metres. The biggest waterfall in the country is a treat for the ears as well as the eyes, as the roar of the water crashing into the plunge pool below adds to the aura of the place. The short walk from the car park, where there is also a picnic area, is gentle and suitable for all ages. 5. Hamsterley Forest - Perhaps better known for its mountain bike trails, Hamsterley Forest, situated near Bishop Auckland, covers 2000 hectares of coniferous woodland and is another attraction to suit a diverse range of ages and fitness levels. Cyclists and horse riders are well catered for and children will enjoy a large play area, while marked paths give hikers plenty of options. Den Building is another child-friendly activity currently available on selected dates.